The Council on American-Islamic Relations is now calling on Fox News to fire Pirro over her comments. The group is encouraging viewers to boycott Fox until the network fires Pirro. During her Fox News show on Saturday, Judge Jeanine Pirro posed an interesting question about Rep. Ilhan Omar (D-MN): does she hold her allegiance to Sharia Law? Sharia Law, also known as Islamic law, governs the laws in most Muslim countries, including daily routines, familial and religious obligations, and financial dealings. According to Pirro, Omar herself is anti-Semitic but the Democratic Party isn't. Omar has garnered attention for her anti-Semitic comments, specifically about Americans' loyalty to Israel. In her eyes, anyone who advocates for Israel is more loyal to Israelis than Americans. 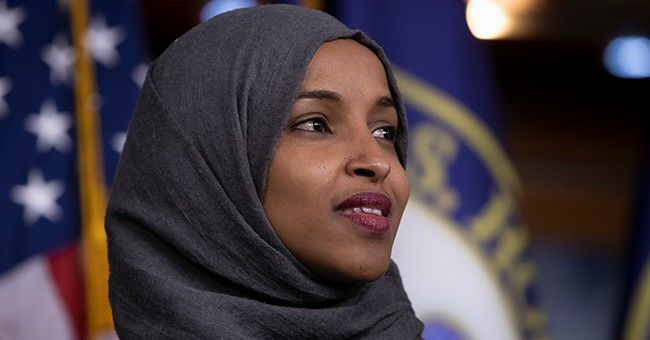 Last week, the House passed a resolution condemning anti-Semitism, which was a direct result of Omar's numerous anti-Semitic comments. Even after the resolution passed, Omar stood her ground, saying her comments started a "difficult conversation" that can lead to "great progress." Pirro brings up a rather touchy topic but one that makes perfect sense. If Omar grew up in a Muslim household who saw Sharia Law as the norm, then who is to say that she doesn't want the rest of America to be governed by her religion? And before Democrats lose their minds over Pirros comments, it's not specifically about the hijab, but rather about the thought process behind the religion and their religious customs. If anything, Democrats should be denouncing their religious customs, like Sharia Law, because they are harmful to women and the LBGT community, the same groups they claim to advocate for.